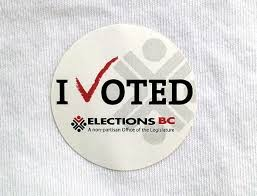 Fewer young people participate in Canadian elections than in the previous generation according to statistics, yet many in British Columbia value the democratic process and are volunteering in the provincial election. Recent interviews with young people (ages 16 to 24) volunteering for three of the four major political parties (the Conservative Party did not respond to an interview request) show an enthusiasm and interest in politics. Here’s what these six young men and women have to say. Many of She’s friends support either the Green Party, because of its environmental policies, or the Liberals, because they are “business-inclined.” His classmates may not be volunteering, but She says they are “informing themselves” about the election through newspapers, the internet, and facebook pages. The Green Party allows young people to give their opinions. You can contribute to policy. It’s open to debate and open to community discussion. Zein likes the fact the Liberals are guiding students toward skilled trades and notes they have partially unfrozen post-secondary tuition fees. She notices other university students may not be volunteering but they are listening and will be voting. Rittu Sharma is 16 and attends Fleetwood Park Secondary School in Surrey. She is volunteering for the first time in the Surrey-Fleetwood riding for Liberal Party candidate Peter Fassbender. “My dad is a business man and the Liberals support business,” she says about her choice of party. “It’s important to get involved because what happens now affects you later,” Sharma adds. Sharma also supports the conditions the Liberals have placed on the pipeline project so it will be less risky and says the project will be a boom to the economy. Kimberly Ho won’t be voting in the Vancouver–Fraserview riding this election—she’s in Grade 12 at Killarney Secondary School and just a year under the voting age. Volunteering on the phones and door-to-door on Gabriel Yiu’s campaign is a first-time and “fun” experience, Ho says. Ho has lots to say about education policy—especially as someone who came through public schools during the liberal regime. Make no mistake, young people are listening. It’s all about motivating more of them to participate—and if we succeeded, surely the province would be a better place. Watch for my book review of The Art of the Impossible: Dave Barrett and the NDP in Power 1972-1975, by Geoff Meggs and Rod Mickleburgh in the upcoming BC History journal, Summer 2013.